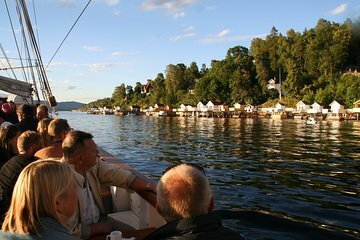 Discover the tranquil waters of Oslo Fjord on a 2-hour cruise from the city. As you ride around the water, listen to commentary from an onboard guide to learn about Oslo and the nature and countryside that surrounds it. Cruises depart at several different times through the day. Choose from one of several different start times, and then head to the pier opposite Oslo City Hall to board your boat. 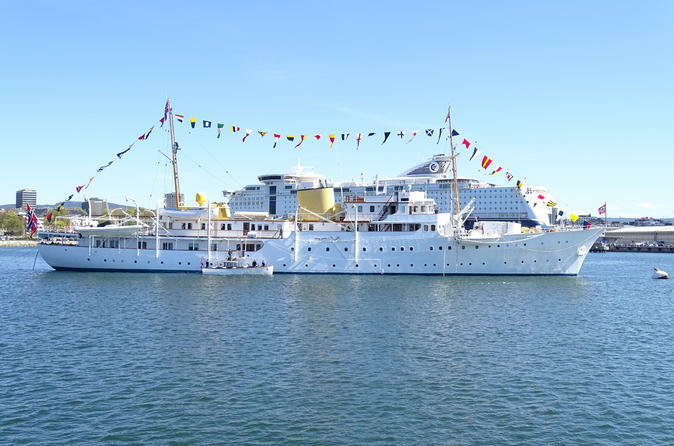 Your cruise takes place on Oslo Fjord, the city’s shimmering expanse of water, which is bordered by rocky shores and islets as well as the urban sights of Oslo. Gaze out at the wooded hills that ring the city, passing through sheltered sounds and winding around small islands speckled with summer vacation homes. Lear about the area — its history and geography — from your onboard guide as you cruise. After two hours on the water, return to the start point and hop back onto dry land to end your tour. Love the Fjord's cruise. Very informative tour. I highly recommend it. Great views. Had awesome weather, high 70's in May. The crew was very helpful. It should be great adventure, unfortunately the weather was bad during our cruise. It was raining heavily so we could not maximize our leisure trip in Oslo Fjord. It was a gorgeous day and the cruise was delightful. I couldn't hear the commentary if I was on the front deck so that was a small issue, but I was very happy just watching the scenery go by. It was very cold so the bar with hot drinks was an excellent addition. It would have been lovely to have a complimentary glass of glogg but as the tour was not that expensive it didn't detract from the experience. Would happily go again. brilliant tour very interesting we went in september quite chilly. Worth the time and for sure to get a nice ride around Oslo Fjord/Bay. The narration was good and the fresh air enjoyable. Oslo fjord is undramatic compared with the fjords seen in the cruise ship brochures - don't expect to sail between towering cliffs! Once you get beyond Oslo harbour the points of interest are mainly the many holiday homes built on the various islands. The boat itself was fine, but all the seats were enclosed - there was no deck to wander around. Overall we felt that, at 2 hours, it was a bit too long. Plenty of information provided by our guide. The cruise was another of Oslo from the Fjord with views of many small islands in the fjord. Very nice but much larger boat than we expected. Also very slow going. Great scenery though and we love Oslo! Would have liked to have seen more of the fjords too.